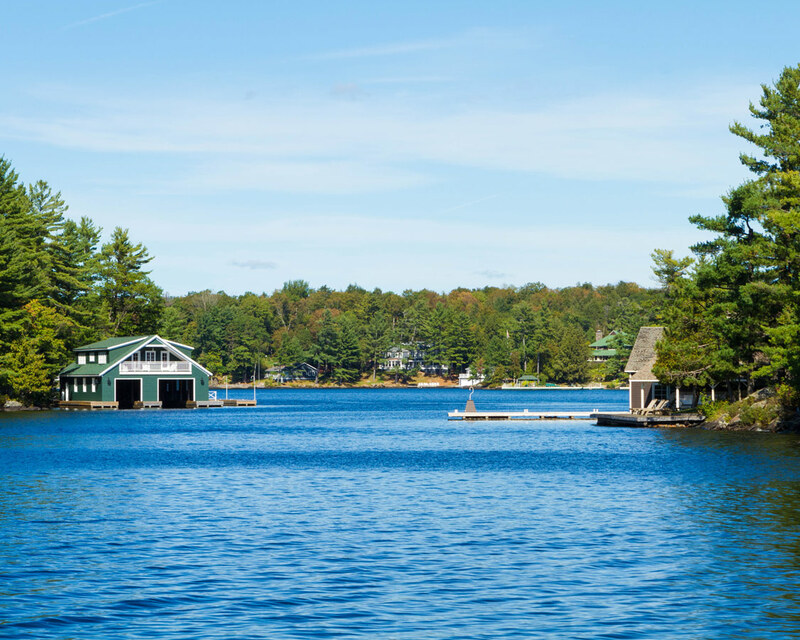 Two hours north of Toronto is Canada’s most famous cottage country, the Muskoka region. It’s proximity to the urban center of Toronto makes it a playground for those looking to escape the big city and get in touch with nature. Muskoka attracts cottagers of all types, but it quickly becoming a getaway for the rich and famous. To explore what makes Muskoka so appealing to everyone from celebrities to cottage loving families, we joined a Lady Muskoka cruise for their Millionaires Row Muskoka tour on Lake Muskoka near Bracebridge, Ontario. We were so excited for a chance to hit the waters after our previous weekend cruising on a steamship in Huntsville, Ontario. You can read about our Muskoka steamship cruise experience here. At 6,475 km2 Muskoka covers a huge municipality of north-central Ontario. The region extends from Georgian Bay in the west to the northern tip of Lake Couchiching in the south, to the western border of Algonquin Provincial Park in the east. But the economic, political and technological center of the Muskoka region is the city of Bracebridge, Ontario. As one of the biggest cities in Muskoka, there are loads of things to do in Bracebridge and the surrounding area. One of our favorite times to visit Muskoka is in the fall when the autumn colors are in bloom. You can read about some of our favorite places to see in Muskoka during the fall here. Lady Muskoka is a 300 passenger Muskoka cruise ship. 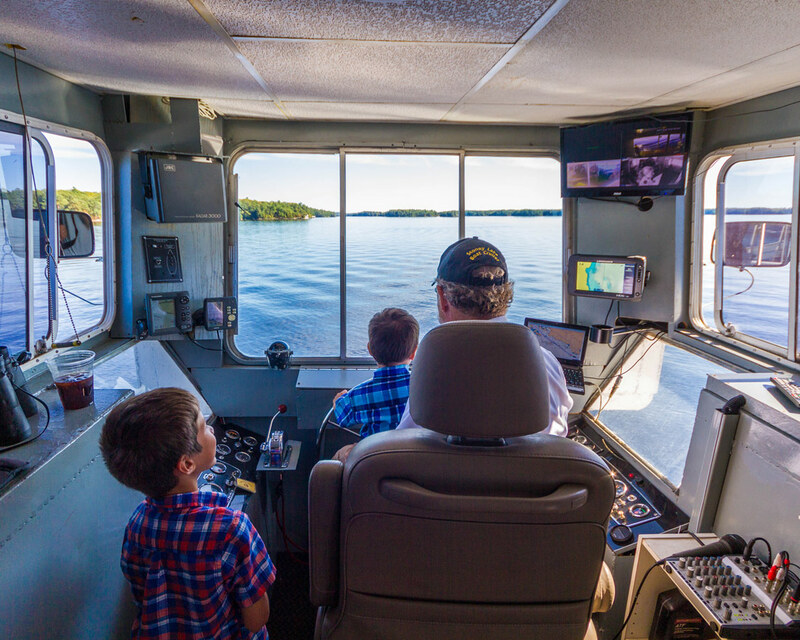 The ship and its tours are one of the top Muskoka attractions and regularly attract hordes of visitors looking to experience the region during the peak season. 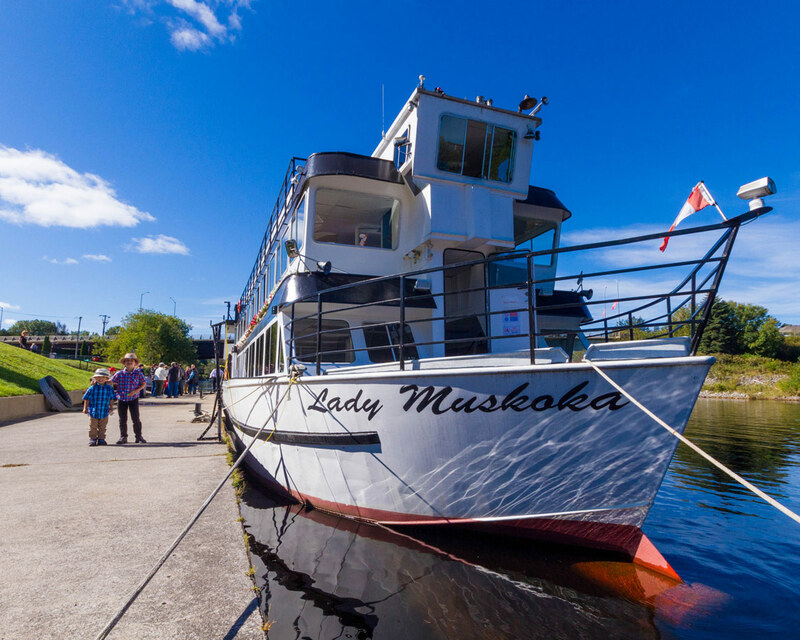 The Lady Muskoka cruises have become one of the top things to do in Muskoka due to the variety of cruises that are offered. The ship itself is a beautiful boat. 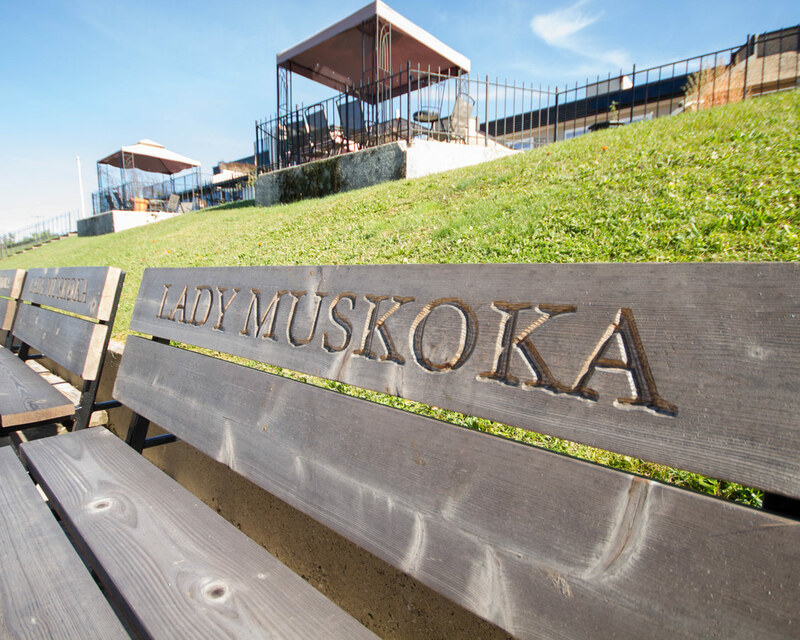 Lady Muskoka offers incredible views from every deck and has a huge open upper deck for sun lovers. Lady Muskoka boat cruises in Ontario have full food and bar services. You can purchase everything from snacks to 3-course meals. Although meals must be booked at the time that your ticket is ordered. 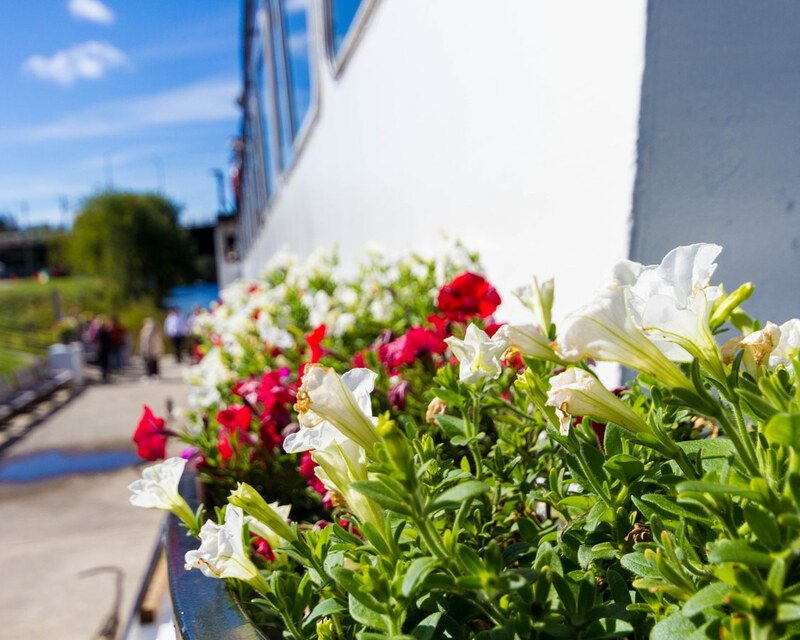 The food, the views, and the experience make Lady Muskoka one of the top Ontario waterway cruises. What food is available on the Lady Muskoka Boat Tours? Any visitor on a Lady Muskoka cruise can avail of the snack bar. The snack bar on the Muskoka cruise includes standard fare such as pizza, chicken caesar wraps, and hot dogs. But the real treat on this Muskoka boat tour is the locally sourced meals by award-winning Chef, David Friesen. Fittingly, this delicious meal is only served during the Millionaires Row Muskoka boat tour. The Lady Muskoka cruise is also equipped with a fully licensed bar. And a glass of wine or champagne goes perfectly with those views! 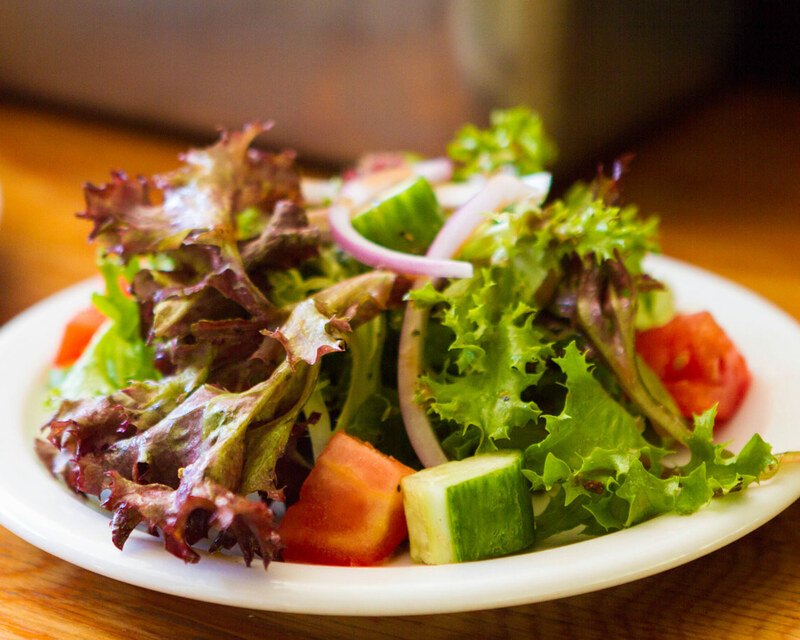 With dishes such as Vegan Mung Bean Soup, Grilled Rainbow Trout, and Pork Ribs, there is no doubt that the flavors are as incredible as the views of the Muskoka waters. While we forgot to book our Lady Muskoka meals ahead of time, we still had a chance to enjoy the food at the snack bar on the lower level. Our caesar wraps were generously portioned and delicious! Having food available was a blessing, as outside food and drink were not allowed on the cruise. So think twice if you plan to bring your own picnic. 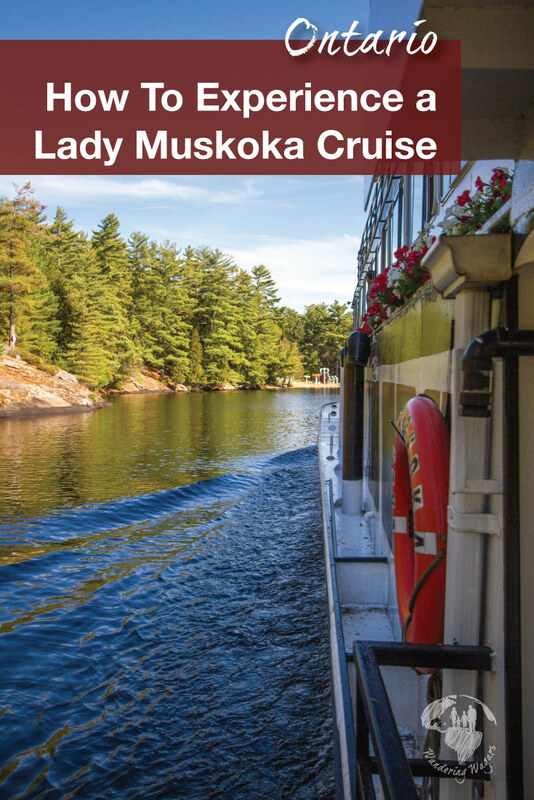 What type of cruises are offered by Lady Muskoka in Bracebridge? Lady Muskoka offers a small range of different cruises. Their Millionaires Row Muskoka tour is their most popular. The Millionaires Row cruise runs from 12:00 pm until 2:45 pm. The company offers a two-hour afternoon cruise from 3:00 pm until 5:00 pm and a Muskoka dinner cruise on Saturday evenings from 6:00 pm until 9:00 pm. The Lady Muskoka schedule runs rain or shine. And all ticket sales are final. 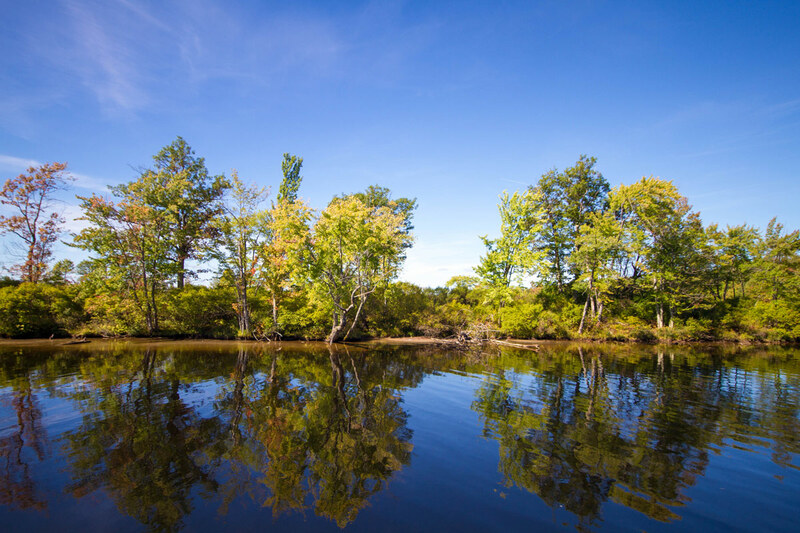 A Lake Muskoka boat cruise is a great way to see many of the otherwise inaccessible Muskoka points of interest. A good portion of the trip navigates through the narrow (at least for a ship of this size) Muskoka River. Here we were able to get great views of some of the beautiful cottages and homes that have become synonymous with Muskoka life. And to our children’s delight, we passed by Santa’s Village theme park. And Santa’s boat was out sailing the waters, giving us an early taste of Christmas! This was shortly after we passed through a narrow break in the islands. It was one of the most fun parts of the trip. There were cottagers out waving at the boats and children jumping from the high cliffs into the beautiful Muskoka waters. Next, we made our way into Lake Muskoka. Many small islands dot this picturesque Ontario lake. Many of them privately owned. The captain explained the history of many of the Lake’s residents both famous and infamous. We passed by Muskoka attractions like Millionaire’s Row. The size and style of many of these Lake Muskoka cottages dazzled us. Only to be told that what we were seeing was probably only the boathouse! A Muskoka cruise is only one of the many things to do in Muskoka, Ontario. Bracebridge and the surrounding area have a lot to offer those who travel with kids. If you are visiting the weekend after Canadian Thanksgiving, taking in the Muskoka fall colors at the Bala Cranberry Festival in nearby Bala, Ontario is a must. Bala is one of the top Muskoka places to visit. You can read about the Bala Cranberry Festival here. 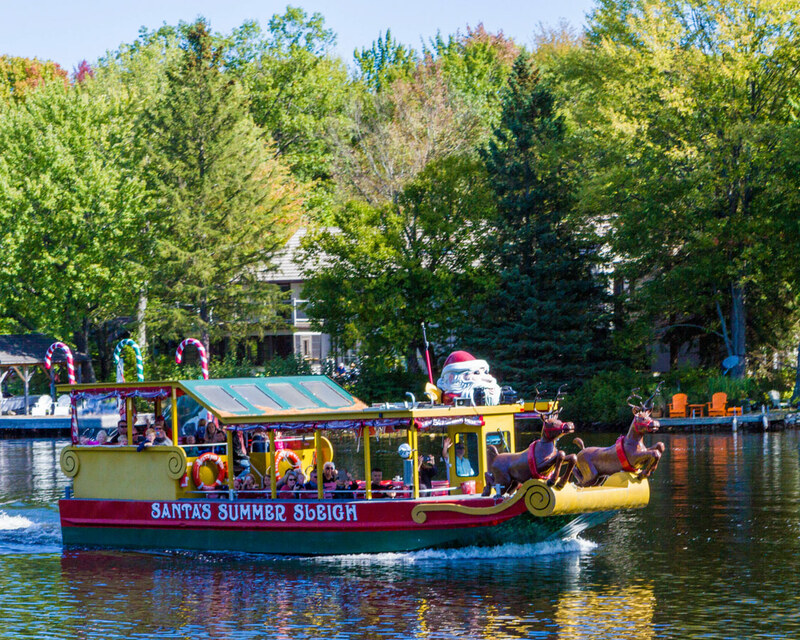 Santa’s Village is a fun, family-friendly amusement park on the Muskoka River. Found in Bracebridge, Santa’s Village has over 60 acres of rides, attractions, and shows that cater to families with young children. Older kids and adults though might get more out of Muskoka Zip Lines & Aerial Park, which is right next door. Featuring treetop canopy tours and aerial adventure courses, this park is great for those seeking an adrenaline rush. 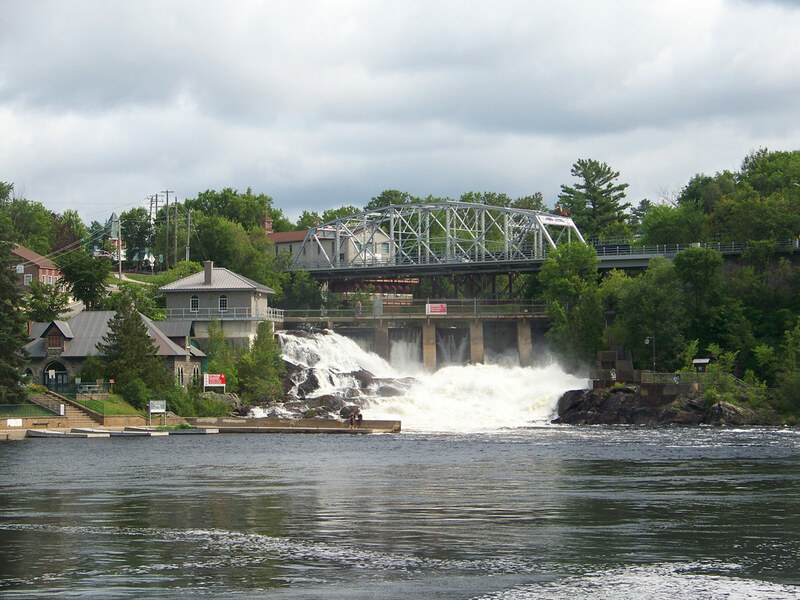 Situated a short walk from downtown Bracebridge, Ontario, and offering lots of parking, Bracebridge Falls is perfect for those looking for some unique scenery. There is a small lake that offers swimming under the small falls. And there are plenty of nearby shops and restaurants to explore. The old mill makes for a great photo stop. This photo is licensed under the Creative Commons Attribution-Share Alike 2.5 Canada license. The popular beers in Muskoka are those that come from Muskoka Brewery. And this cozy restaurant and brewery make a great place to sit down, grab a meal and take in the relaxing Muskoka vibe. These falls make for a spectacular spot to take in the Muskoka scenery. The views from the top of the falls are gorgeous. And High Falls, located just North of Bracebridge off of HWY 11 is a perfect spot for a picnic. Because of Bracebridge’s position as in the Muskoka region, there are a number of amazing resorts and bed and breakfasts to choose from. Bracebridge has a great selection of high-quality, low-cost hotels such as the Quality Inn and the Sleep Inn. The nearby area also has some amazing cottage resorts such as Taboo Resort and the Trillium Resort and Spa. But there is no lack of options in the region. You can check the prices and availability of hotels near Bracebridge here. No matter where you choose to stay in Bracebridge, or whether you just make it a day trip to Muskoka, you are bound to be dazzled by the scenery. 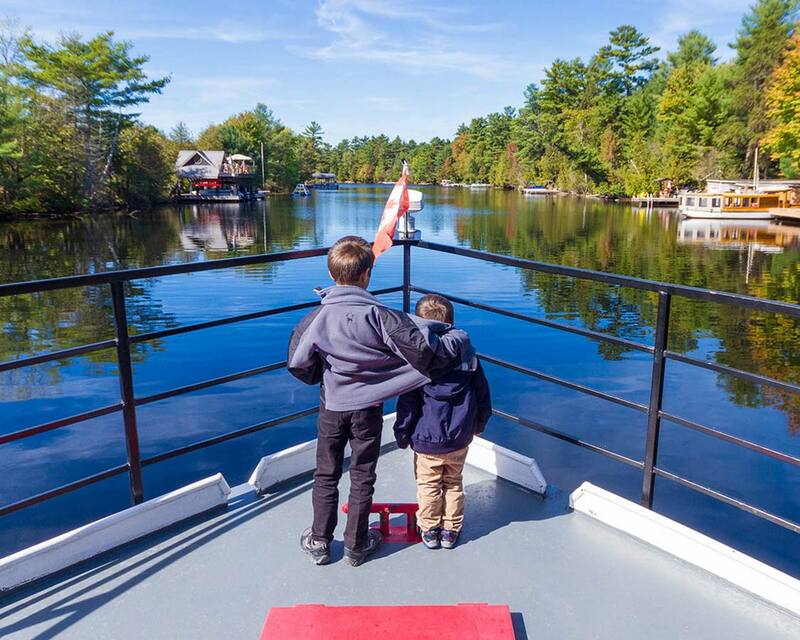 Have you ever taken a Lake Muskoka cruise? Tell us about it in the comments. Or send us an email from our contact page! Let us know if we missed any amazing things to do in Bracebridge, Ontario. Disclosure: We were guests of Lady Muskoka during our visit. All opinions remain our own. Wandering Wagars is a participant in the Amazon Services LLC Associates Program, an affiliate advertising program designed to provide a means for sites to earn advertising fees by advertising and linking to amazon.com, amazon.co.uk, amazon.ca. Amazon and the Amazon logo are trademarks of Amazon.com, Inc. or its affiliates. Sounds like so much fun!! We have been thinking of taking one of these cruises for quite some time but have never got round to it – maybe next summer!! I want to check out the Muskoka brewery. Sounds like the perfect spot for me! This scenery is so different from what we’re used to here in Southern California. Would love to join this cruise one day! Looks like a great place for a summer getaway! I’ve been meaning to explore more of Canada, but from San Francisco is often cheaper to go to Europe or Asia! Wow! Looks like such a beautiful place to visit! This looks so fun! We did a Canada boat tour in Newfoundland and it was really lovely! I would enjoy the Santa village too for sure! Wow, I didn’t even know this was a thing! We did something similar around the 1000 Islands area last summer but this is definitely getting added to my list for next summer! Sounds like the perfect day to spend on the lake! I love Santa’s summer sleigh, how creative haha. The food looks so great. My mouth watered 🙂 Glad I’m reading this on my lunch break. Haha! Looks like the fam had fun, as always! The falls look amazing! I’d never heard of Muskoka, so thanks for the education, I learn so much from travel blogs and discover so many great things to do. Must try this area of Canada. I’ve never been on a cruise. Hope to make my way to Lake Muskoka one day and take my kids as well. Thanks for sharing!